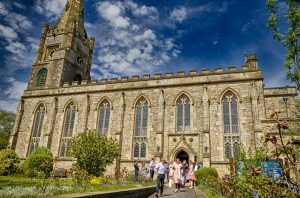 St Mary’s is a family-friendly church in the heart of Clitheroe, a charming town in the Ribble Valley. 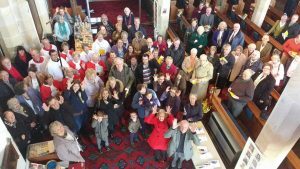 We’d be delighted to see you here at any time the church is open, and hope you’ll soon feel at home with us. We have special services for all age-groups, and most Sundays we have children’s activities running at the same time as the main Sunday morning worship. If you come to a Sunday service here, we’d love you to stay for a cup of coffee or tea and a chat afterwards. The church is usually open for visiting on Sunday afternoons and on Mondays, Tuesdays, Thursdays, Fridays and most Saturdays from 10 am – 4 pm (summer) and 10 am -3 pm (winter).